Some time you need to use the camera to detect objects on several different planes and from various camera location. You may think to do that by defining several snapshot positions in installation tab and using several camlocate nodes in your program. 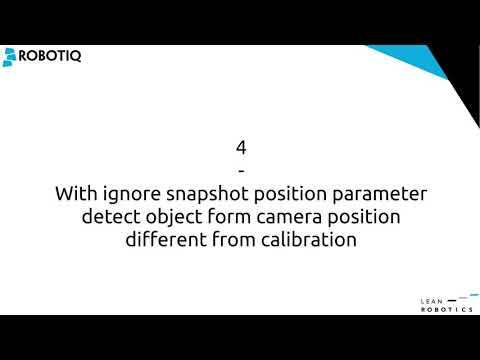 It will work but in most of the cases you should be able to use only one snapshot position and one camlocate node. Having less snapshot position and less camlocate node will improve performance and ease the program modifications. I made a video to show how you can detect and pick object on various plane and from various camera location while using only one snapshot and one camlocate node. I hope it will be helpful !